This functionality is fully integrated and appears on the Insert Tab. A 3D visualization for mapping, exploring and interacting with geographical and temporal data. This works in conjunction with a PowerPivot model. 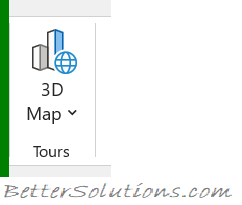 Once installed an additonal group called "Maps" appeared on the Insert Tab.